One of the greatest benefits of being a renter versus homeowners is if you do not like the area, you can not renew your lease and move. We will discuss Buying Home Near Railroad Tracks. Rising Home Prices with very low inventory is creating more and more demand for housing. Home buyers no longer has to wait two to four years after bankruptcy and/or foreclosure with non-qm loans. With new loan programs available to home buyers and the great economy, home buyers are shopping for homes. Buying Home Near Railroad Tracks is starting to become more and more common for home buyers. Home shoppers have a certain amount of budget when buying homes. 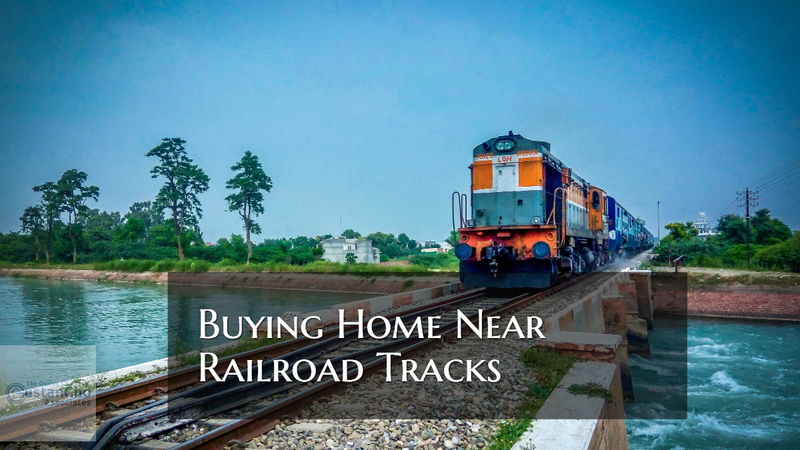 Also Buying Home Near Railroad Tracks can take substantially longer to sell. In general, Buying Home Near Railroad Tracks has its drawbacks. Any property that is half a mile and/or close to railroad tracks will tend to see slower appreciation and take much longer to sell. Say that you got a deal of a lifetime in buying home near railroad tracks and you are not worried about the resale value to the bargain you got. Need to think about the noise level for years to come. This topic applies to older homes built near railroad tracks. The closer a home is to train tracks, the more severe the damage can be. Home buyers can get deals when buying home near railroad tracks where it may not affect their resale value. The closer the tracks are to the subject property, the greater the noise and the less chances of appreciation. Homeowners can re-insulate the home to have less track noise. They can replace their windows with thermal windows to minimize noise levels. Freight trains are powered by diesel fuel which can cause much pollution. This can create soot and fumes which often discolor home’s exteriors. Many communities have placed curfews for trains where they are not allowed to run during certain times of the day. Trains carry toxic materials. Accidents do happen and the whole neighborhood may need to be relocated if a freight train with chemicals derails. There are pros and cons to seriously consider when buying a home near train tracks.